Healthcare Kickbacks Defense Attorneys - Oberheiden, P.C. Physicians and other healthcare providers are frequently confronted with new business opportunities. Whether it is for toxicology services, DNA testing, pharmaceutical referrals or other ancillary services, all opportunities have in common that they need to be conform with applicable laws and regulations. Among the most important one of these laws is the prohibition against kickbacks, also known as the Anti-Kickback Statute, located at 42 U.S.C.S. Sect 1320a-7b(b). The federal Anti-Kickback Statute at 42 U.S.C.S. Sect 1320a-7b(b) states that a person may not knowingly or willfully solicit or receive remuneration directly or indirectly, overtly or covertly, in cash or in kind, in exchange for referring an individual for the furnishing of a healthcare item or service that is paid by a federal healthcare program such as Medicare, Medicaid, Tricare, and Department of Labor. Notably, in addition to this prohibition against kickbacks for federally funded patients and healthcare business, most states have enacted state anti-kickback laws. The difference between federal and state anti-kickback laws is twofold: first, state laws do not apply to transactions involving federally funded patients, but only to state programs and commercial insurance payors. Second, because the federal government does not have jurisdiction over state affairs and typically does not assist in enforcing state laws, alleged anti-kickback violations on the state level are not investigated and prosecuted by federal agencies such as the FBI or the Department of Justice, but by state police and other state enforcement agencies. While traditionally anti-kickback restrictions only applied to arrangements that implicated federally funded business, most states have enacted state anti-kickback laws with the intent to capture also all non-federal business. In other words, if an arrangement may not be in violation of federal law because no federal payor is involved in the underlying transaction, it may well nonetheless violate state anti-kickback statutes. Especially in Florida, under Florida’s Patient Brokering Act (PBA) and related regulations for laboratories and pharmacies, state law violations may be prosecuted with at least the same level of force as they are on the federal level. The federal anti-kickback statute is a statute of draconian consequences. Kickback investigations are coordinated by the U.S. Attorney’s Office, often with involvement of the Federal Bureau of Investigation (FBI), the Office of Inspector General (OIG), the Department of Health and Human Services (HHS), and the Department of Justice (DOJ). Kickback violations are typically pursued under 18 U.S.C. Sect 1347, which is the general healthcare fraud statute under federal law. On the one hand, it is a civil statute and liable providers are expected to repay the value of the transactions in addition to treble damages and fines of up to $ 25,000 per occurrence. On the other hand, the anti-kickback statute also contains a criminal provision by which individuals involved could face federal felony charges and even imprisonment. The question then becomes: how can I avoid violating that statute? Let’s look at the text of the statute to then break down its elements. 42 U.S.C.S. Sect. 1320a-7b(b) explains that a person may not knowingly or willfully solicit or receive any remuneration directly or indirectly, overtly or covertly, in cash or in kind, in return for referring an individual for the furnishing of a healthcare item or service that is payable in whole or in part by a federal healthcare program. For which payment may be made in whole or in part under a federal healthcare benefit program such as Medicare, Medicaid, Tricare, and Department of Labor patients. As stated, in order to be held liable, a remuneration offered or paid for has to be made knowingly and willfully. While remuneration in this context encompasses literally anything of value, from cash payments to basketball season tickets, where only one purpose of the the remuneration is to induce referrals, see United States v. Greber, 760 F.2d 68, 72 (3d Cir. 1985), the contours of required intent are far less obvious. Traditionally, courts required a specific intent to violate the law, see, e.g. Hanlester Network v. Shalala, 51 F.3d 1390 (9th Cir. 1995). This wide-spread interpretation has come into question with the enactment of the Affordable Care Act and its amendment to the anti-kickback statute. Most commentators seem to agree that under the Affordable Care Act, the government no longer has the burden of proving that the defendant knew the details of the laws or that the defendant engaged in conduct with the specific intent to violate the law. That switch is rather dramatic because healthcare providers, business executives, and physicians can now be prosecuted for mere knowledge, which the government may derive from circumstantial evidence. Who Can Answer My Questions About Kickbacks? The attorneys of the Oberheiden, P.C. routinely advise executives and entrepreneurs in complex healthcare transactions. Whether the underlying transaction is a hospital merger, the setting up of a toxicology or DNA testing facility, or simply a services agreement, our attorneys have the background and skillset to assist. We have helped nurses, physicians, business owners, hospitals, laboratories, pharmacies, and other businesses across the country with their anti-kickback concerns. Our team of former federal prosecutors in charge of healthcare fraud have successfully defended clients against Medicare Fraud, Medicaid Fraud, Tricare Fraud, Anti-Kickback, and False Claims Act accusations and we conclude a large number of healthcare fraud cases with no civil or criminal liability on behalf of their clients. The attorneys of Oberheiden, P.C. are happy to answer your questions. Each call will be answered by one of our senior attorneys. 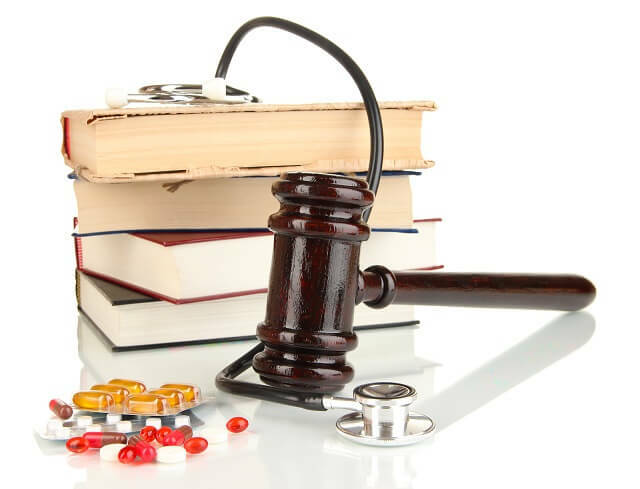 If you have questions about the anti-kickback statute or other healthcare law matters, you should call us and speak directly to one of the above attorneys at (800) 810-0259.